ATENARI is an ancient Japanese word describing a serene beauty. 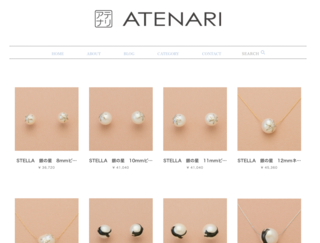 * ATENARI is a registered trademark in Japan. Each and every encounter at the Hong Kong Fashion Week was an once-in-a-life experience and treasure for me. I thank you all for your visit, business, and most of all, your kind words. Your comments were truly heart warming and very informative. I thank you again. 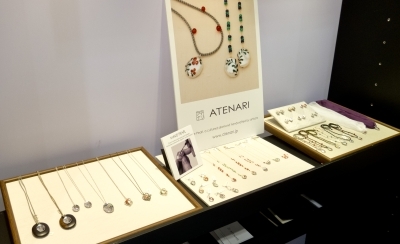 I am thrilled by having witnessed female buyers and visitors from the Far-east Asian countries unanimously and positively accepted ATENARI jewelries. 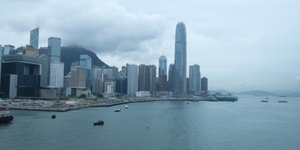 Not only prospective buyers and customers of Hong Kong, but also of the main land China, Malaysia, Singapore, et al. I am looking forward to see future business developments of ATENARI in these countries. Above shown are my cozy displays on the show floor. Across the aisle on the show floor were designers from Indonesia. It was fortunate and an honor to get to know them from a country where I didn't have much experience and contact. They were all young and filled with energy. Visitors' fashion was another, yet the most noteworthy, highlight of the Fashion Week show. Sitting and standing in a trade show like this for a day or two, I could foresee what would be coming next in the future fashion trend. This is an extra "fruit" (a fruit, indeed) of joining a trade show in Hong Kong. 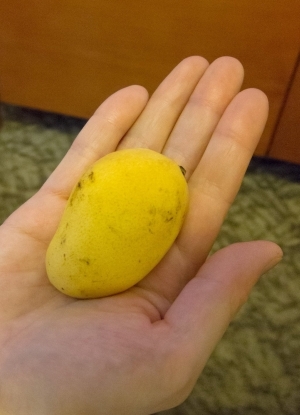 Kidney Mango. I ate them every day, if not twice a day. It's so tiny that you only need to peel it and throw the whole piece into your mouth. Anyone interested of selling this in Japan? PLEASE. A while ago, I found a gallery of world accessories in the Museum of Decorative Arts (Les Arts Decoratifs) in Paris. I wondered what could be a masterpiece from Japan in such a gallery like this. I even doubted there wouldn't have been any item from Japan. My expectation was totally wrong and unjust. The gallery stored exquisite and refined hair pins and combs decorated with the Makie technique. My eyes were glued to these "masterpieces". 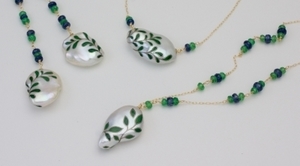 They were never second to European fine jewelries around the same age. Since this experience of mine, my goal has been to create a fashion style "de nos jours" (of today) with Makie made for modern women. Though the Makie decoration technique has a history of more than 10,000 years, it is not straightforward for me to materialize Makie's beauty and warmth as an object "de nos jours", that really resonates with our instinct to wear today. Now, July 2012, here is my answer to the proposition. 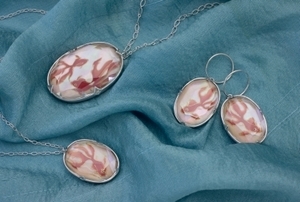 Like anything was so in a distant past, each and every piece of my creations is one of a kind. 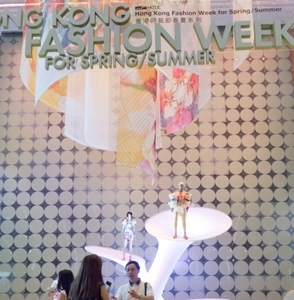 We will premiere this Makie collection at the Hong Kong Fashion Week this week. 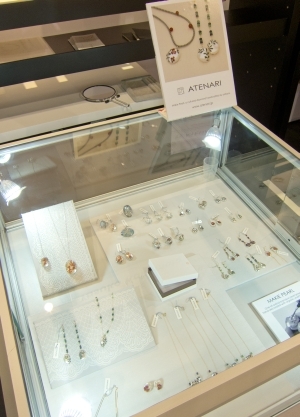 Please visit and see ATENARI at 1B-DS34, the International Designers' Showcase in Hall 1B of Hong Kong Convention and Exhibition Centre. ATENARI will be exhibiting its latest collection, including the Makie Pearl jewelries, at Hong Kong Fashion Week for Spring/Summer 2013 (香港時裝節春夏系列). 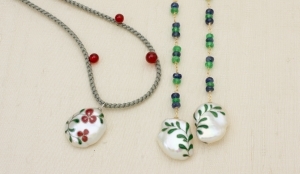 The show will take place at Hong Kong Convention and Exhibition Centre (香港會議展覽中心) from July 3th to 6th, 2012. Our booth will be in Hall 1B (Hall 1 and Entrace B). The booth number is 1B-DS34. We are very proud and honored of being featured in the International Fashion Designers’ Showcase section of the show. Keep in touch with us for more update! !